To ensure your Permutive segments have adequate impressions to flight your campaigns, we recommend you run a future forecast/avails check in DFP. Note: There is a waiting period of at least 2 weeks from the time you send your Permutive segment to DFP, to when you will be able to generate avails. 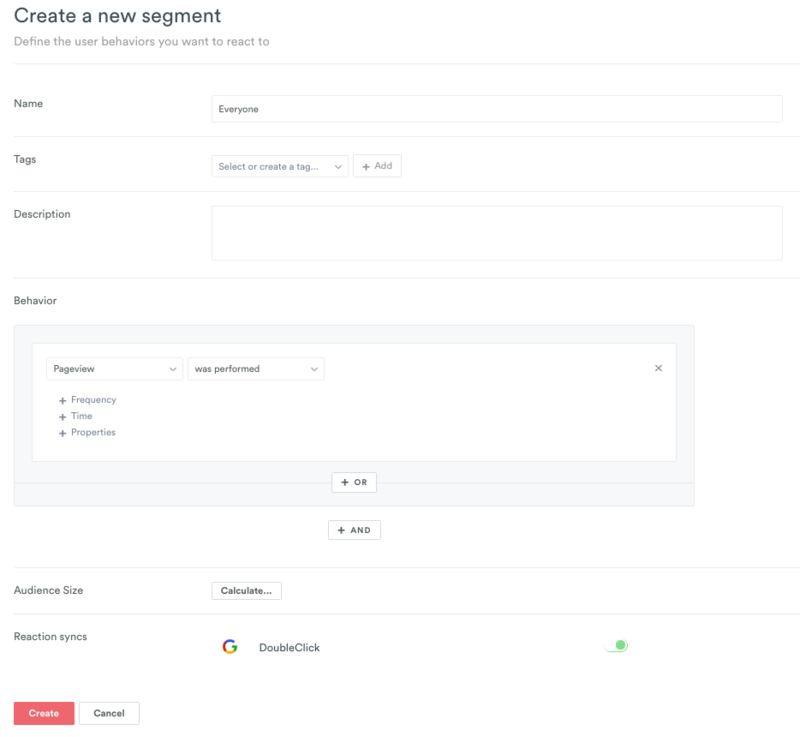 You should begin by creating an 'Everyone' segment using the segment builder in the Permutive dashboard. Set the Behaviour to 'Pageview was performed' and click the slider in Reaction syncs section to create a DoubleClick reaction. Below is an example of how the segment should appear. Check Inventory in DFP for the 'Everyone' segment. 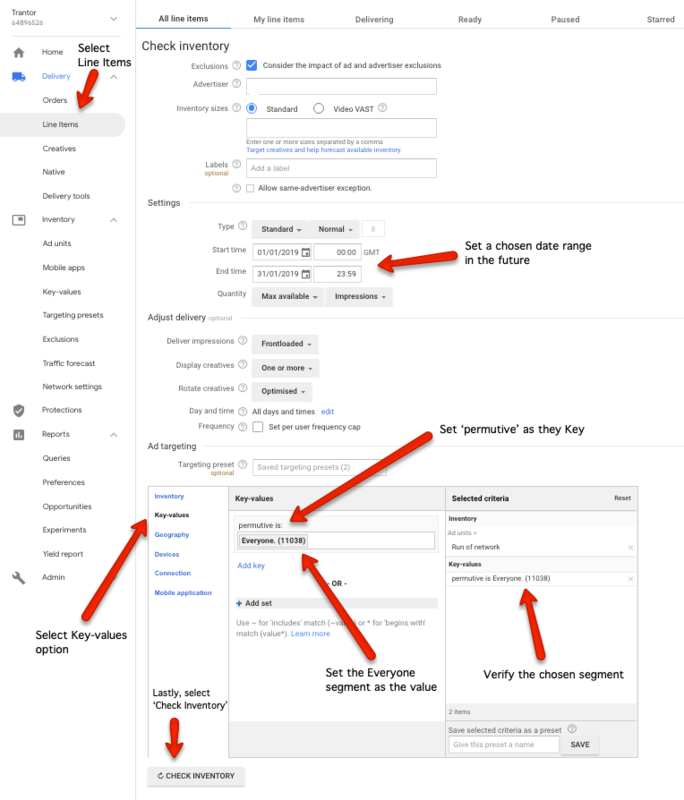 Google will need at least 1-2 weeks from the time you send your Permutive segment to DFP to generate avails. From the DFP homepage select Delivery → Line Items → Check Inventory. In the Settings section, set the date range to a future time span. In the Ad Targeting section select Key-values on the left hand side. Then choose 'permutive' as the key and the segment you'd like to test (in this case 'Everyone') as the value. Verify and click 'Check Inventory'. The returned Forecast summary will provide an insight into the impressions that could be reached with your chosen segment over the future date range selected. If you have any questions, please do not hesitate to contact us at support@permutive.com or by using the LiveChat icon in the bottom right corner.